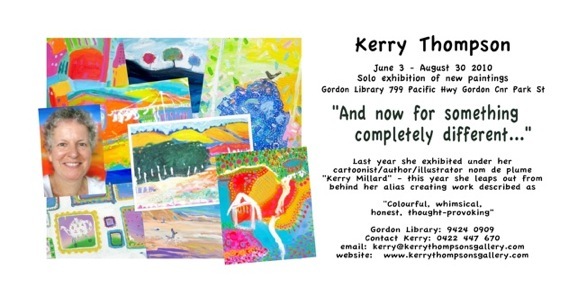 I’ve been busy over the past few weeks getting everything ready for my upcoming exhibition of paintings (as Kerry Thompson) at Gordon Library which will be called “And now for something completely different...”. A dear friend is making some surprise nibbles for the opening (can’t tell you what they are until afterwards) and I’m busy making sure all of the paintings are signed, tidied up, varnished, and have wire and title on the back. Some of the paintings were done on paper when I was in Western Australia over Christmas, and they’ve been framed with white mounts and frames and look fabulous!!!! I’ll try and get some photos over the next few days to show you. 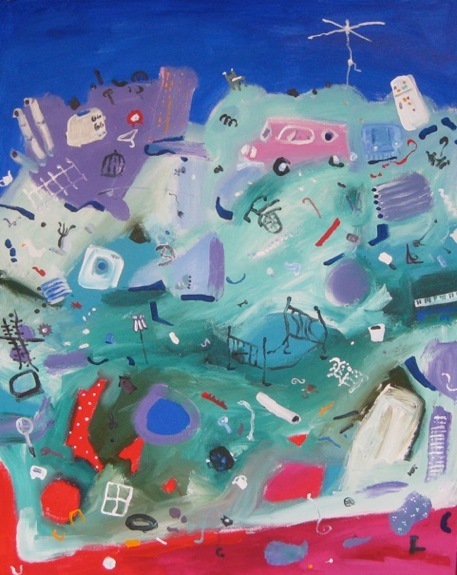 There’s a great website for looking at photographs and paintings and writings by a worldwide group of people - it’s called RedBubble (www.RedBubble.com) and I’ve put work there under KerryThompson. Take a peek if you’d like an amazing way of seeing a whole spectrum of works from a whole spectrum of people! It has cooled down in Sydney and I’m toasting my toes by the fire as we speak. Time for a cuppa!